New tract for pre-teens and teens! 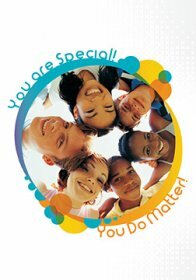 You are Special! You do Matter! Many young people today need to hear this message. They don’t feel special and they don’t think they matter. This tract shares how they can know they are special to God. It clearly presents the Gospel message and describes ways to know and serve God. 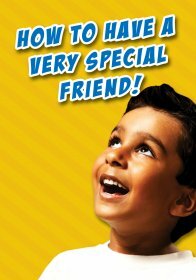 Have you ever wondered how to have a very special friend? The symbols and colors in this tract how kids how! 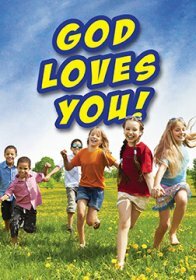 The tract is the perfect accompaniment to the Wordless Book or Gospel Flipper-Flapper or use it alone to introduce kids to their very special friend--the Lord Jesus Christ! This is a companion tract to "How to Lead a Child to Christ" leaflet. It gives a simple statement followed by a verse or two to explain God's love, the child's sin, Christ's death and resurrection, the child's response and Christian growth. 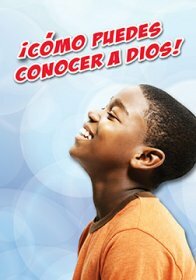 Use the “I Can Grow in God” tract as a helpful aid to children who have professed faith in Christ. This tract is a companion to the “God Loves You” tract and continues where the first leaves off. On these eight colorful pages children are encouraged to grow by talking to God, reading their Bible, telling other’s God’s Good News, and going to church. They are also encouraged to confess their sins and remember God’s promise to always be with them. 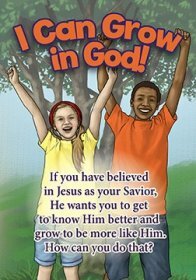 Use the “I Can Grow in God” tract as a helpful aid to children who have professed faith in Christ. This tract is a companion to the “I Can Believe” tract and continues where the first leaves off. On these eight colorful pages children are encouraged to grow by talking to God, reading their Bible, telling other’s God’s Good News, and going to church. They are also encouraged to confess their sins and remember God’s promise to always be with them. This helpful tract uses a Wordless Book bracelet to share the Gospel. Includes instructions to make a Wordless Book bracelet. Bracelet not included. This tract uses a Wordless Book bracelet to share the Gospel. 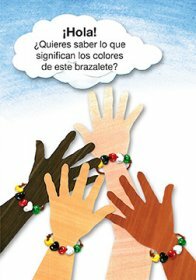 Includes instructions (in Spanish) to make a Wordless Book bracelet. Six full-color pages. Bracelets are not included. 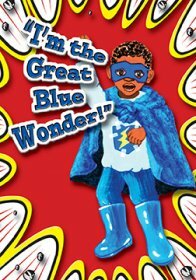 Jason thinks he is boring so he is pretending to be the The Great Blue Wonder for Halloween. Jasmine explains to him that God loves him they way he is and shares the Gospel with him. 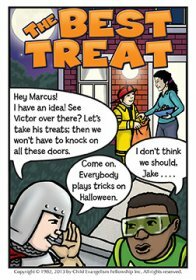 Great for Halloween or Trunk or Treat.